This conference was designed by PreK-2 differentiation experts to help you guide your instruction in ways that engage and embrace the unique qualities of all your learners. Join us for three days of hands-on strategies for literacy, math, technology, classroom management, social-emotional development, interventions, engagement, and more. 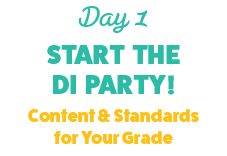 Gain a deeper understanding of grade-specific, developmentally appropriate practices. Learn how engagement and motivation can improve student achievement. Interact with differentiation techniques designed specifically for your grade level. 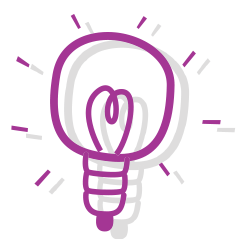 Develop plans for differentiating in both small- and large-groups. Get a handle on proven management strategies that build community for your diverse students. Kick-off keynote full of inspiration, excitement, and drumming! 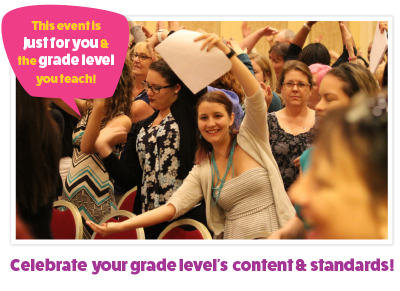 Grade-specific sessions delivered by grade-level gurus who have been there, done that! 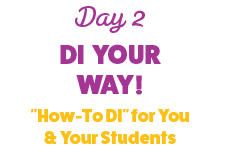 Classroom-proven DI strategies broken down into easy-to-follow steps! Special end-of-day grade-specific make & take projects to excite your hands and your heart! 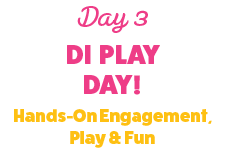 Interactive day of sessions showcasing the power of student engagement and play! Closing event featuring an idea-a-minute, high-energy throwdown of the BEST EVER classroom ideas! Download the conference brochure PDF for offline viewing and session review.